Sometimes the chargers, the jump drives, and the USB gadgets just get in the way - nothing works. Not to worry. 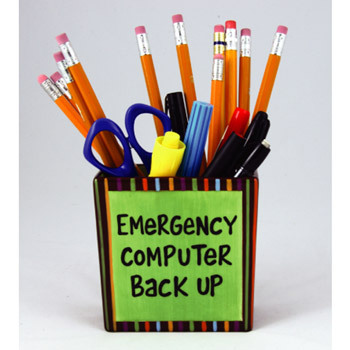 You've got your Emergency Computer Back Up always ready. Grab your moleskine and find the joy in not-computing again. 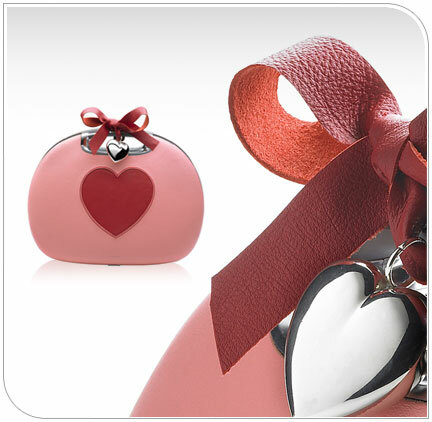 Is you true love not a big fan of roses, allergic to chocolate? Would she rather surf Facebook and Myspace then go out to the bar and knock down a couple of shots. 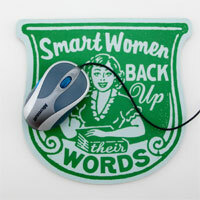 Then get her something she can really use, something she'll remember you for every time she uses her second most favorite thing in the world, her computer. 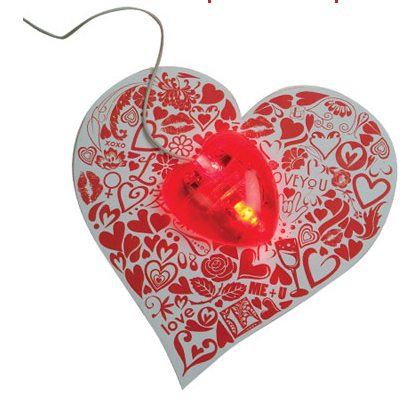 Get her our Heart Mouse and Mousepad Set, a standard mouse that lights up that comes with a beautiful crafted heart shaped mousepad. A sporty addition to any computer. 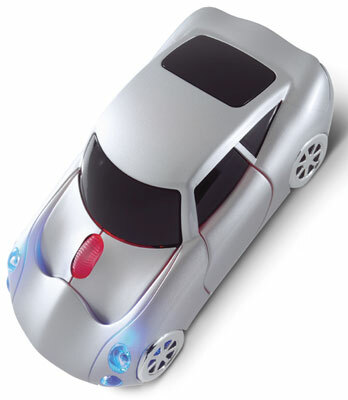 Sure to click with any sports car aficionado or James Bond fan, this ergonomically designed 2-button mouse with scroll wheel is a realistic licensed replica of TVR's famous super car. It sports alloy-style wheels, tinted windows, and working blue LED headlights ideal for those dimly lit evenings on the Internet. Mac and PC compatible. USB Aroma/Fragrance Oil Burner can aromatize your home or office. Fun - and stylish - USB/Firewire combination for Mac or PC. 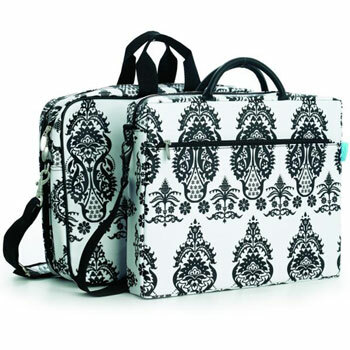 Tote along your laptop while traveling with this stylish White Palazzo Damask Laptop Bag. The regular laptop bag features sleek and streamlined design, removable shoulder straps, quilted satin lining in contrasting color, foam padding, water resistant outer shell, protective plastic inserts on both sides, and outer pockets for folders or documents. The large laptop bag features extra room for storage of documents and wires, padded interior with contrasting color lining, one section has a zipper that runs to the base of the bag for easy access, several small interior pockets, and a water resistant outer shell. 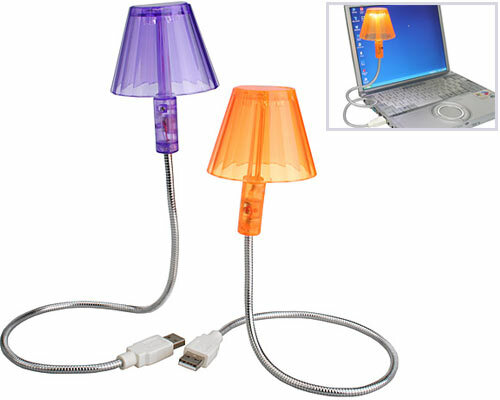 Plug this lamp into your computer's USB port and bend the flexible neck to light up your work space. The LED bulbs have three settings. 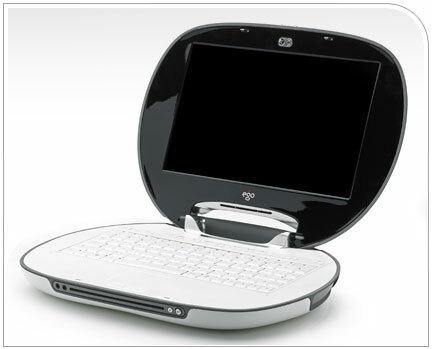 Tulip Ego is a luxury laptop that comes with interchangeable covers in designer fabrics and kitschy but cute styles. 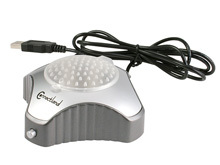 The designer computer also has a complete line of accessories built around it. The computers are available at Barney's New York or at www.ego-lifestyle.com.